Its the time of year to start thinking about planting trees and with the fall storms its probably time to check to make sure all your current trees are healthy. I’ve been using Gunnison Tree Service lately and have found them to be fair priced, nice and responsive. My contact is Andrew. I just went to their website and found some good advice on their blog. We all know that the landscape of your home has the potential to add not only great curb appeal, but also add significant value to your property. That being said, you must know the best time of year to plant these valuable items in order for them to flourish. There are many considerations that need to take place before beginning or adding to your landscape. Trees and scrubs require four essentials in order to grow to their full potential, those four requirements are water, sunlight, nutrients such as fertilizer, and room to grow and establish a root base. Below we will discuss the best timing according to climate to provide the most favorable conditions for your investment to thrive. Let’s be honest, summer is one of the two seasons that fall into the category of “the absolute worst time to plant trees and shrubs”. Why is that? The simple answer is because the potential for high temperatures can be extremely detrimental to young trees. When trees are establishing their root base it is essential that they receive an abundance of water to nourish the growing plant. On the flip side, winter is the other season that is not favorable for planting trees and shrubs. This is due to the opposite reason of the possible freezing or chilly temperatures. No matter what the season, the premature tree or shrub will always need water to survive. Don’t be fooled by snow – While it is frozen water, the tree will not receive any of that moisture until the snow begins to melt. The ideal time to plant a tree or shrub is in the seasons of either Spring or Fall. In the Spring, the buds are about the flourish and in the Fall, the trees are going dormant. It is the ideal time in terms of climate or temperature and a favorable time in regards to the soil. The soil is more accepting to retaining moisture which will aid in stimulating a positive root growth structure and will also allow for easier ground breaking in order to dig the hole to transport the plant. As an added bonus, the weather is much more enjoyable to be outdoors working in the yard! As a bonus, let us offer a few additional tips or tricks of the trade, if you will, to help aid in the success and survival of your investment. It is advised that you plant your tree or scrub as soon as you purchase the plant. The nursery has maintained its job to grow and sustain the plant in the best conditions available and it’s up to you to transport that tree or plant with the utmost care (even handling can be detrimental to the plants survival if abused) and plant during favorable conditions.. When you are digging the hole to plant the tree or shrub, of course – immediately after its purchased, right? – dig the hole two to three times the width of the base of the tree and the same depth as the ball or root of the plant. Last tip, mulch, mulch, mulch! We love mulch once the tree or shrub is planted. Mulch allows the ground surrounding the new tree or shrub to stabilize the soil temperature as well as retain moisture from watering or rain. Need a professional’s help? 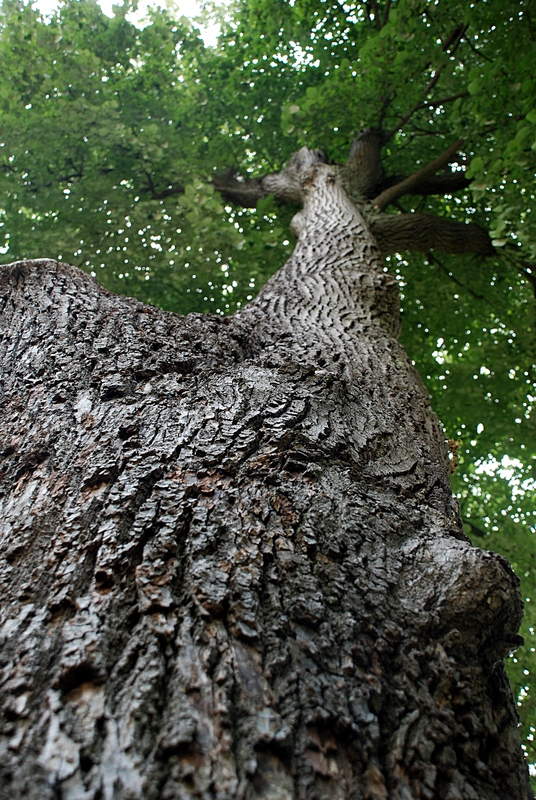 Call Gunnison Tree Specialists, 404-264-2724. Some fencing can be a real accent and actually add value to a home. On my personal home I have several types of fencing for different purposes. For privacy, I’ve done a solid barrier fencing and had it stained to blend with the tree bark in the background. For pool fencing, I needed to have a specific height and type of locking mechanism so I used iron fencing. 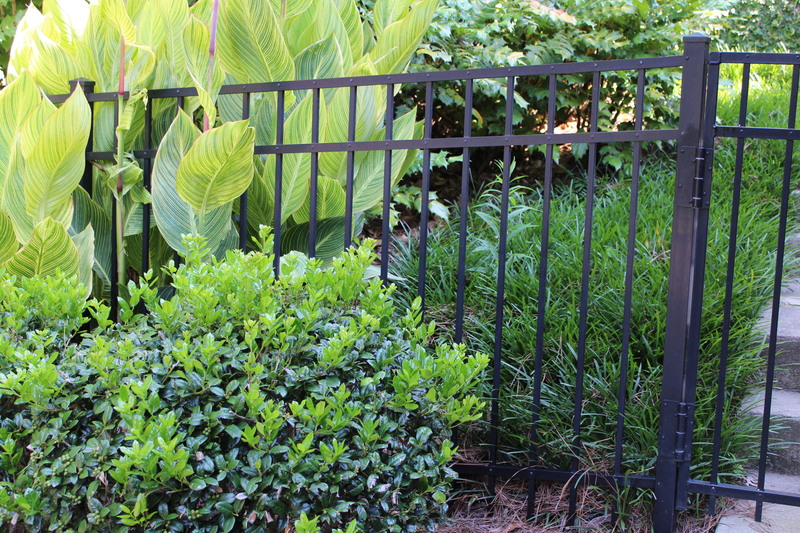 Iron fencing, while it is more permanent, does require maintenance to keep it painted. Originally, I had green chain link fence around the perimeter but when the pool was installed I replaced it with 5 ft high black chain link (since this fence is buried pretty deep in the landscaping you really can’t see it). The front fencing was aluminum 5 ft fencing and pre-dated the pool as well. It doesn’t require the maintenance of iron but it doesn’t seem as stable either. Since all my current fencing is black, it blends well and covers a myriad of purposes. Its good to do your research when fencing to determine if there are ordinances in your HOA or neighborhood about the type of fencing. I did learn that coyotes can jump over an 8 ft fence, so its almost impossible to fence them out. One friend installed chicken wire over the top of a fenced area to protect her pet chickens from coyotes and foxes, but obviously that’s a limited area that you can cover. I have also tried an underground electric fence with my previous dog and while it worked to keep him in it didn’t keep other dogs out. I feel that it made him aggressive to other dogs, as he felt contained and they weren’t, so I didn’t go that route with my current dog. 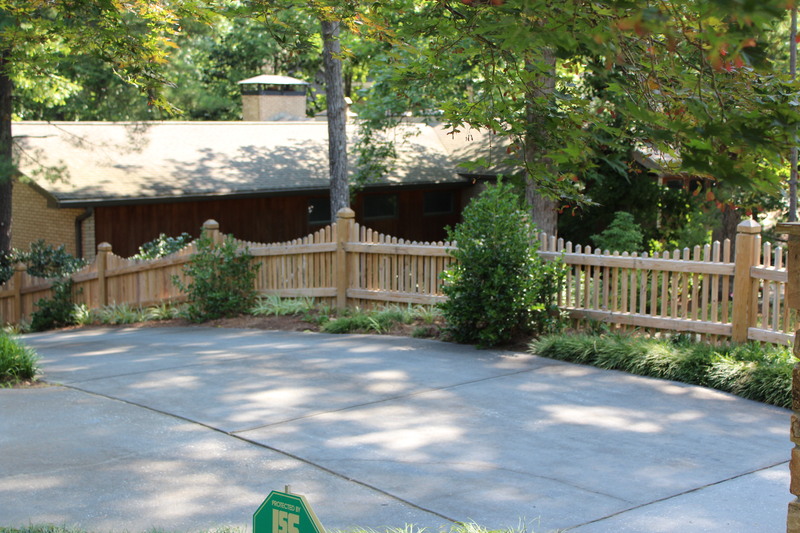 Here’s an article from Atlanta home inspector, Chris Curles, that discusses the installation and basics of fencing. A picket wood fence can be installed, often in a weekend, and depending on the size of the yard, for under $1,000. It is a job that can be undertaken by beginners, and needs few specialized tools. The key is to plot out the fence outline, stake it, and mark post location, which should be six to eight feet apart. To properly set a fence post, the post should be set at least two feet into the ground, or as deep as one-third of the entire length of the post. A power auger can be rented and will save time when digging multiple holes. Three inches of gravel at the bottom of each hole will insure water will not pool around posts. Once the posts are place, they can be set with concrete. The concrete should extend two inches above ground, sloping outward to divert water. Bottom and then top railings (also called stringers) are attached to the fence post with galvanized screw and nails, and pickets can be attached. Once all the pickets are attached, the fence can be painted or stained. 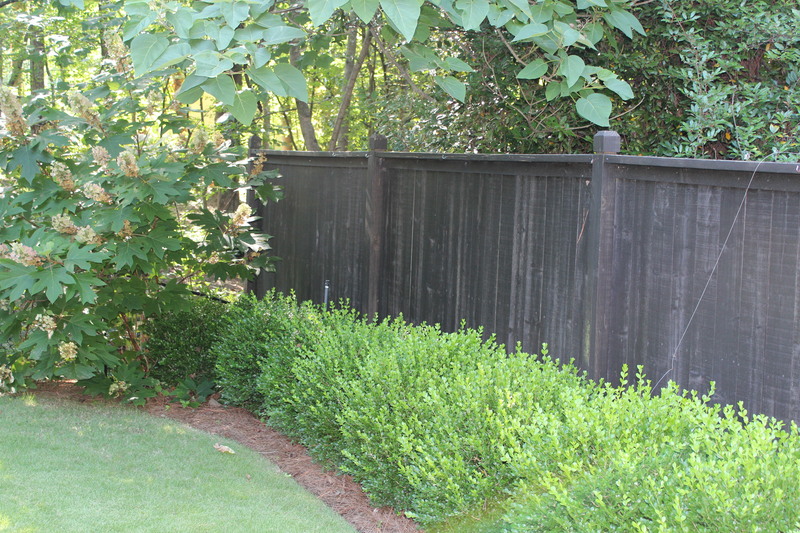 A privacy fence is a more difficult project, and will cost more in time, money and labor. One way to decide the height of the fence is to fashion a cardboard screen the height of the fence and try it out at various points in the yard. It’s good to remember that privacy fences work both ways. They provide a barrier that limits access, but can also wall a homeowner in and create unattractive sight-lines. 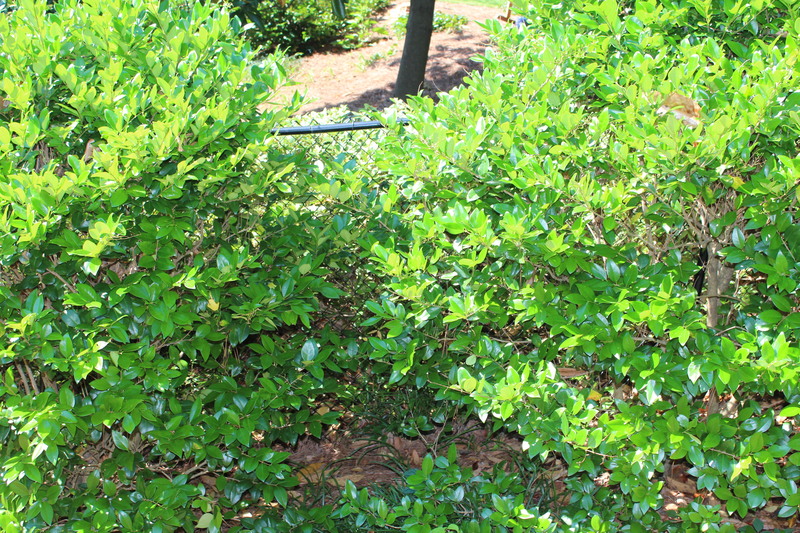 Fast growing shrubs and bushes or privacy screens may be able to achieve the same effect. Another way to break up the stockade effect is through varying fence design, height, and material, or installing partial fencing, arbors and gates in areas of the yard to be highlighted. Once the fence design has been created and building permits granted, a plot plan will provide a starting point to mark the border of the yard. Guessing at property lines can result in having to tear down and move a fence off someone else’s property. When the yard is staked, post holes can be marked. The more posts that are placed, the stronger the fence will be. Generally, spacing posts slightly less than eight feet apart will prevent sagging and provide a fence strong enough to remain standing in spite of wind. The process of digging post holes and installing the posts is the same, whether it’s a picket or privacy fence. Once the post holes are dug and filled, basic carpentry tools are needed to assemble the fence. In addition, a circular saw, screwdriver, hammer and a 4-ft. level are essential. To speed up the process, a pneumatic nail gun with galvanized nails can make fast work of nailing pickets and panel boards, but only if you know how to safely use a nail gun. The bottom and top stringers need to be nailed in place first. As least three horizontal 2x4s or 2x6s will be needed to support the weight of each privacy fence panel. Scrimping on stringers will also result in a sagging fence. The nails hold everything together until the upper and bottom rail pieces are permanently screwed together with galvanized screws. When the stringers are in place, the fence panels can be added, along with the trim. 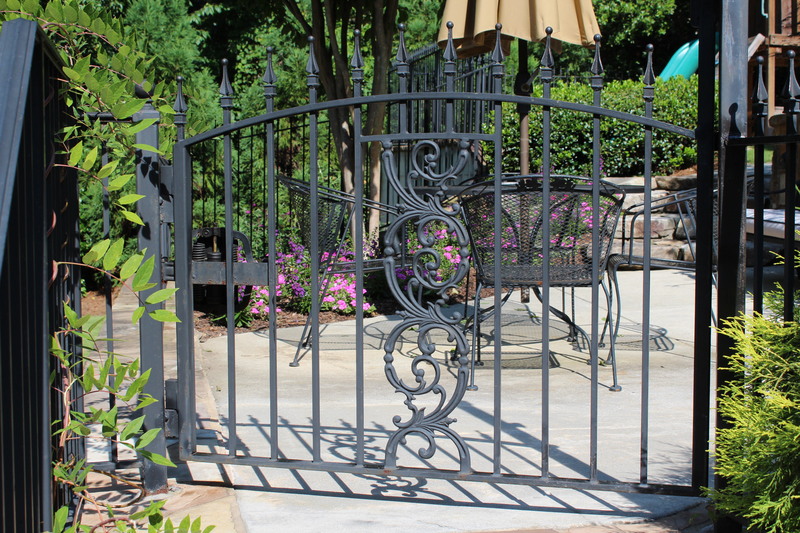 Gates can be purchased and installed or built and installed, and the posts can be trimmed, if necessary. There is one other important step to consider when working with wood fence material. Staining the fence can take energy as long as building it! If the wood is stained before cutting and assembly of the fence, it will look cleaner, receive better stain coverage and most importantly, save hours of staining time. Whose responsibility when a tree falls? Happy last day of school for almost everyone! I now have a 2nd grader – hard to believe my baby is going into Second Grade next year. Well he’s ready to begin summer right now! He only has 2 hours today. On the way to school this morning he saw this house that I’ve had listed on and off, its rented right now. He had the mom call to let me know. I drove over as its around the corner from me and I took this picture and emailed it to my client who lives in New York. My friend’s first comment was, “This will be complicated, as its the neighbors’ tree”. I’ve had a lot of experience with trees and its actually pretty clear cut, if it falls on your property its your problem. The neighbor is responsible for cutting down dead trees and you have the right to notify them in writing if there’s a dead tree that poses a risk to your property, but the only way you can get them to pay “legally” is to have proof that they were notified that there was a dead tree. That part is difficult, it would need to be a certified letter or some sort of official notification. Legally they didn’t have to do anything as I didn’t know it was dead and hadn’t notified them of such. Now I will say, its a common courtesy to help out in these situations, but there is not a legal responsibility. I am not an attorney, so I will add a disclaimer that you should always contact your attorney or insurance company for your particular situation and this is all Georgia specific. Also, its good to check your insurance policy, as my experience tells me that if it doesn’t land on the house its not usually in the policy for any kind of protection, so that $1,000 to remove was totally on me. In the case of this house on Randall Farm, the insurance company will most likely cover the damage to the house, but not the tree removal. Again, we all hope the neighbor realizes what happened and comes to the rescue. Just wanted to let everyone know what I’ve learned from my experience. If you’ve had success getting the tree owner to pay for your damage, please let me know and how. Update: The neighbor did take responsibility and the tree is already removed, an example of common courtesy! When you have a good relationship with your neighbor they usually do take responsibility for their trees. My clients’ insurance will need to cover the damage to the house. Update July 11th, 2012 I had a tree fall in my personal property yard from my uphill neighbor on Paces Lake and much to my disappointment they weren’t as nice as the neighbor above. They feel its an act of God and not their responsibility. 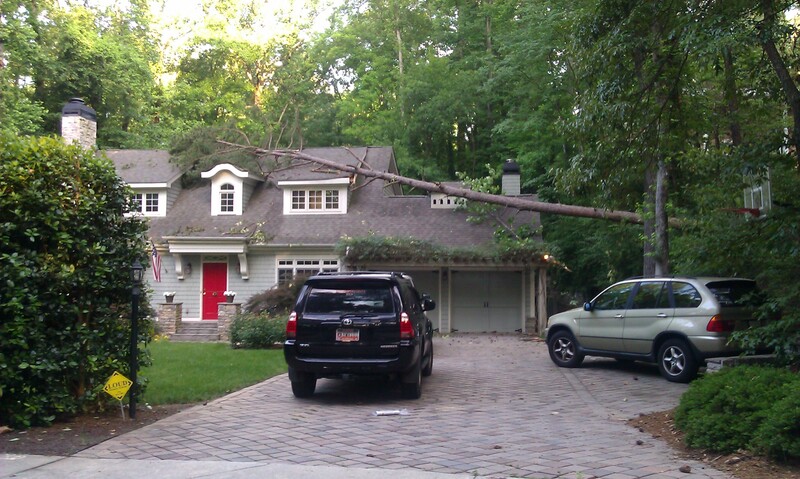 Just my luck I’d have the one neighbor in Vinings that would feel that way! I have learned thru this process from talking to 3 different tree companies, that 99% of people take responsibility for their trees if they fall. I can’t believe I’m dealing with the 1%! At one time or another, we have all turned on a hot water faucet and been caught unaware by steaming hot water. In fact, you may have been lucky to pull your hand out of the flow just in time to prevent a burn. This situation creates real danger for small children who can’t react in time. 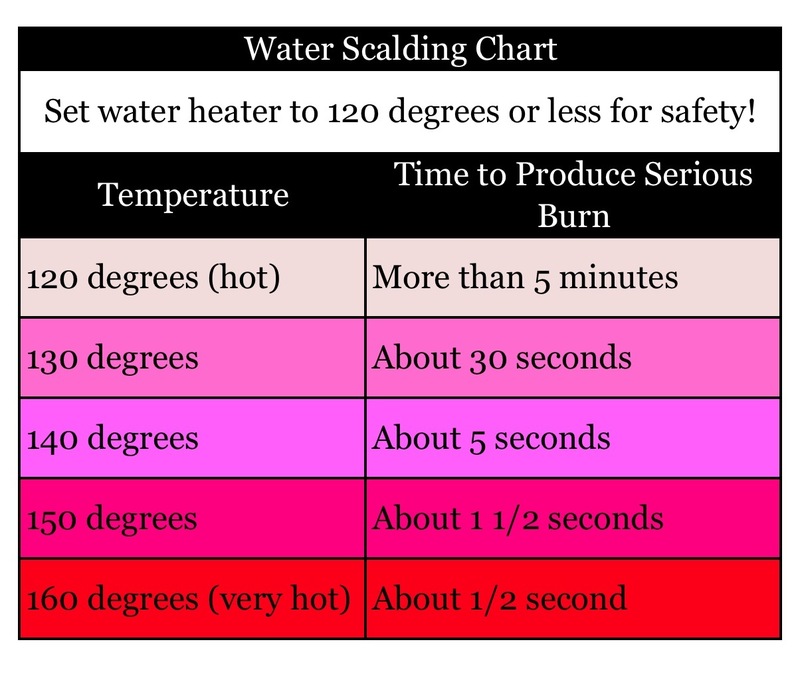 The accompanying chart shows how fast excessively hot water can burn. Residential water heaters should always be set to a temperature not to exceed 120 degrees F. Measure the water temperature with a thermometer at a faucet after establishing the flow of hot water. If the temperature is too high, you can make a simple adjustment at the water heater. A gas water heater has a dial on the front of the gas valve that can be set to a lower temperature. If your home ha an electric water heater, you’ll probably need to remove a small access cover and adjust the thermostat with a screwdriver. When in doubt, look for the instructions or seek help from an expert. In addition to making your hot water supply safer, lowering the water heater temperature can use significantly less energy and save you money on utility bills. This information was provided to Real Vinings | Buckhead by Chuck LeCraw of The Cornerstone Inspection Group, Inc. www.CornerstoneInspectionGroup.com. I found these charts below about radon levels in Cobb and Fulton Counties and found them interesting. There are also websites that show the areas with the highest levels. Of course, mitigation systems remain a way to address this and I still have all my clients test for radon and remediate prior to purchase of a home. I continue to get higher radon readings all throughout Atlanta in the fall than I do other times of the year. Radon is a radioactive element that is part of the radioactive decay chain of naturally occurring uranium in soil. You can’t see, smell, or taste radon gas, but it can kill you. Unlike carbon monoxide and many other home pollutants, radon’s adverse health effect, lung cancer, is usually not produced immediately. Thus you may be exposed to radon for many years without ever suspecting its presence in your home. Radon has been found in homes throughout the United States. It typically moves up through the ground to the air above and into your home through cracks and other holes in the foundation. How does radon enter your home? Houses act like giant chimneys. 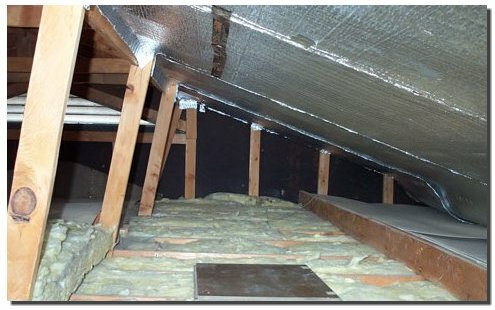 As the air in the house warms, it rises to leak out the attic openings and around the upper floor windows, creating a small suction at the lowest level of the house, pulling the radon out of the soil and into the house. 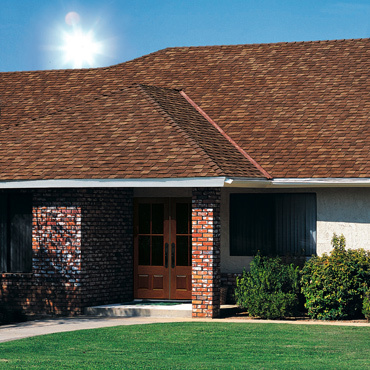 Fortunately, there are other extremely effective means of keeping radon out of your home. Some houses have tested as high as 2,000-3,000 pCi/, yet there hasn’t been a single house that could not mitigate to an acceptable level. Mitigation usually costs between $800-$2500. Radon is the second leading cause of lung cancer in the US, after tobacco smoking. It is the leading cause of lung cancer in non-smokers, and kills more than 22,000 people each year, 600 of them in Georgia. Protect your family from this dangerous carcinogen. Test your home today. You can prevent and reduce entry of radon into your home! Vinings home under contract at 3642 Cochise Drive.....the first home in the flood plain to sell since 2009. 3642 Cochise Drive, Atlanta, GA 30339 is under contract. 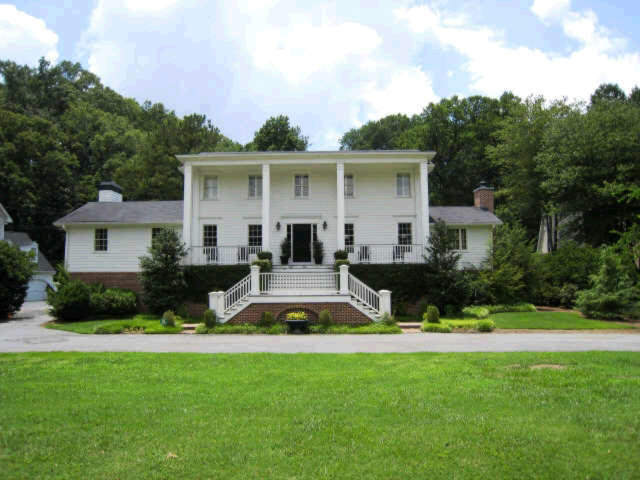 This is the first house in the flood plain in Vinings to sell since 2009. The bad news is the price it took to sell. I had this home listed pre-flood at $1,350,000 and here at the end of 2011, the last list price before it went under contract was $624,000, and I assume they got it for slightly less than that. Also, it was a corporate sale so the price was reduced consistently over the past year plus that its been on the market. My client who lived there was relocated to Chicago and shortly thereafter their company bought the house from them, so all is good for them but the company had quite a shortage I’m sure. I’ve heard the buyers are local Vinings residents and the house was a great deal. 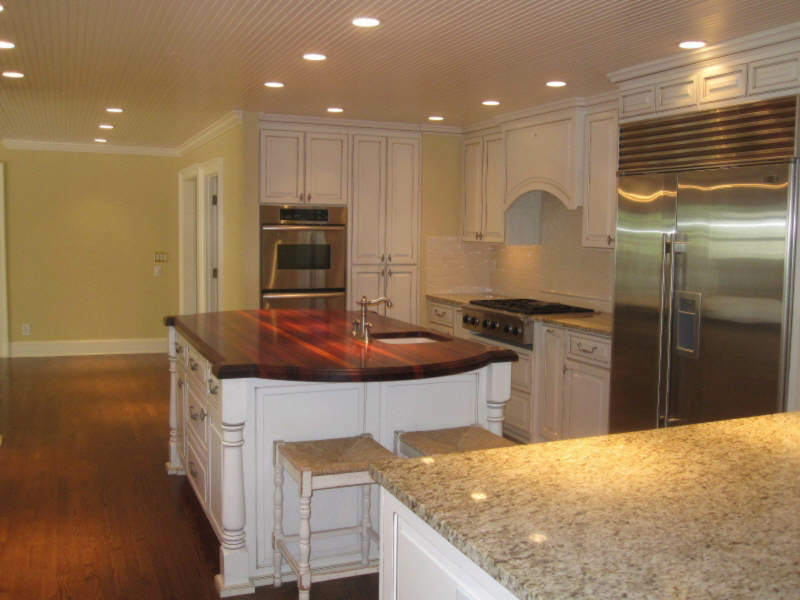 The kitchen and bathrooms were all new in this home under contract in Vinings. 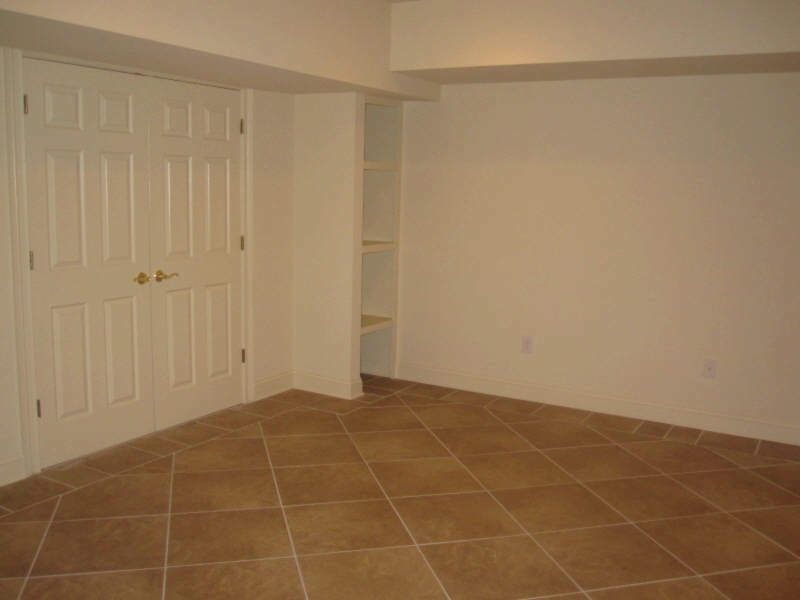 The kitchens and the baths are all completely new as is the basement – which is the area that will flood. It is all tiled now so it can be hosed off in case of another “event”, but can be used as a great family room in the mean time. A tile floor on the terrace level was installed in this post-flood home that is under contract in Vinings. Very practical! You are currently browsing the archives for the Home Maintenance category.